The 36″ wide X-Deck Pro is the widest we build. It can be used as a portable stage. 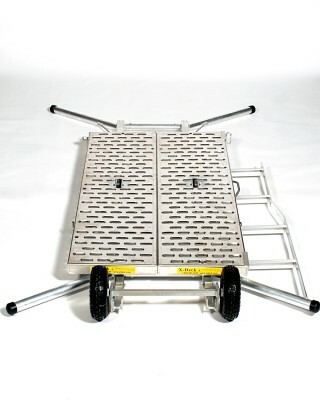 The 4-Step 36″ wide X-Deck Pro weighs only 93 lbs and is certified to hold 4000 lbs. It is height adjustable from 2.5 feet to just under 5 feet. 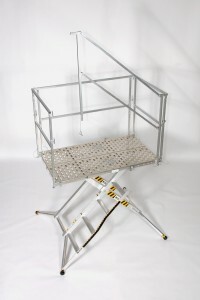 This model comes standard with our modular cage handrail. Also comes standard with a hinged leg for compact storage. Buy it today and save time and be more productive!